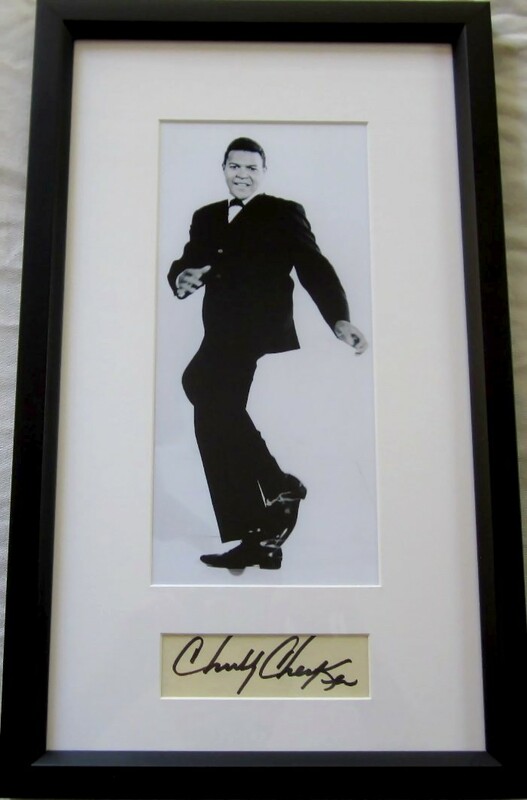 Black marker autograph of legendary musician Chubby Checker on tan paper, professionally matted and framed in black with a vintage photo, ready to hang. Framed size is about 10 1/2 by 18 inches. Obtained in person at 2001 signing. With certificate of authenticity from AutographsForSale.com. ONLY ONE AVAILABLE FOR SALE.